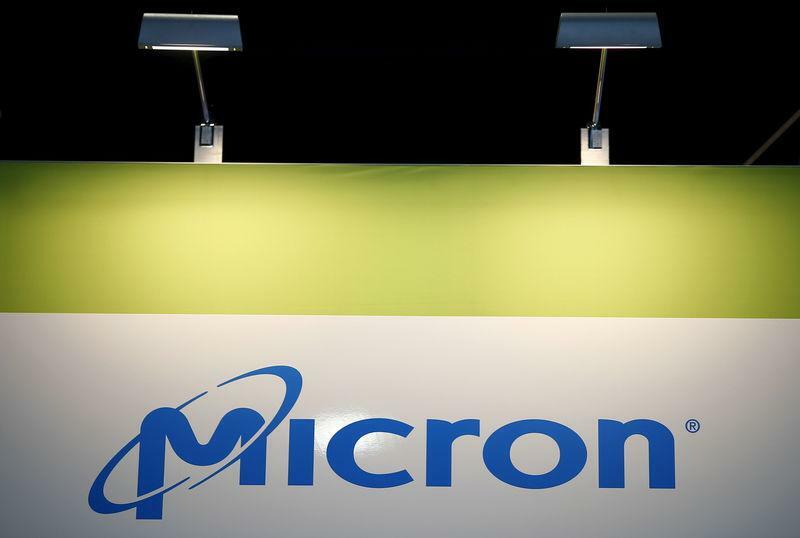 (Reuters) - U.S. chipmaker Micron Technology Inc beat analysts' estimates for quarterly revenue and profit on Wednesday, getting a lift from demand for its memory chips used in data centers. The company's shares, which have gained about 27 percent this year, were marginally higher in choppy after-market trading, boosted by a share buyback and controls on capital spending. "Although we expect industry headwinds in the near term, we continue to grow and diversify our product portfolio, improve our cost competitiveness and lay the foundation to emerge stronger, both financially and operationally, from this environment," Micron Chief Executive Sanjay Mehrotra told investors during a conference call. Chipmakers are also reeling from a prolonged trade war between the United States and China. Micron warned in September that U.S. tariffs on Chinese goods would weigh on its financial results for as much as a year. Micron has been looking to weather the slowdown by investing more on its next generation chips, as well as reducing output. Net income attributable to the company fell to $1.62 billion, or $1.42 per share, in the second quarter ended Feb. 28, from $3.31 billion, or $2.67 per share, a year earlier. Revenue fell to $5.84 billion from $7.35 billion. Excluding items, the company earned $1.71 per share. Analysts on average had expected a profit of $1.67 per share and revenue of $5.82 billion, according to IBES data from Refinitiv. Micron said capital expenditures, a figure closely watched by investors, were $2.45 billion for the quarter. The company in December told investors it expected capital expenditures for the 2019 fiscal year between $9 billion and $9.5 billion. The company said it bought back 21 million shares of its common stock for $702 million during the quarter as part of its $10 billion share buyback program, leaving a net cash position of $2.99 billion.